At the end of another year, we would like to share some interesting things about the history of Lafayette Instrument and a couple of special anniversaries. Lafayette Instrument Company was established in 1947 with one employee and an 8 x 10 foot shed for a workshop. That one employee was our founder, Max Wastl. Max was a German immigrant who studied Electrical Engineering at Purdue University. "We are always open to constructive criticism and suggestions from our customers. It is our aim to build instruments of high quality and at a reasonable cost." Through Max's leadership and with this goal in mind, Lafayette Instrument quickly became the market leader in psychophysiological instrumentation for schools and university laboratories. As a result, sales growth required multiple expansions to accommodate new products and employees. A smart and capable young man named Tom Smith joined the company in 1967, and he would later become the longest tenured employee in the company's history. In 1972, expertise in physiological testing was used to produce Lafayette's first polygraph instrument. Since then, Lafayette Instrument has been the world's leading manufacturer of Polygraph instrumentation and equipment, having distributed more credibility assessment instruments to private examiners, government, and military organizations around the world than any other manufacturer. Lafayette Instrument acquired Campden Instruments in the United Kingdom in 1998. Campden serves as a dedicated European office and has incorporated complementary products into the exisiting life sciences product line. Campden has continued to provide expertise in the growing neuroscience research markets. September 2016 brought the honor of being named the "Greater Lafayette Commerce Small Business of the Month." Lafayette Instrument is thankful for the award and the recognition from the community. During 2016-2017 alone, Lafayette Instrument supported customers from over 80 countries and every US state. The company is proud to celebrate this accomplishment and 70 years of operation in 2017. 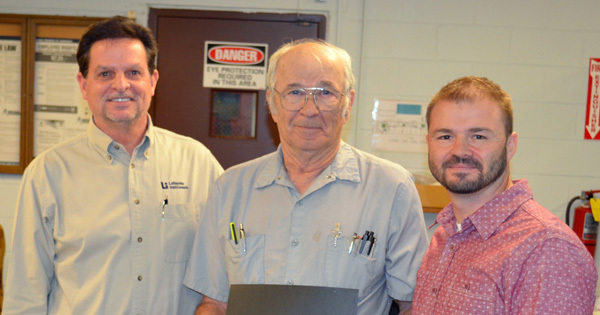 Lafayette Instrument would also like to congratulate that young man, Tom Smith, who started in 1967 on his 50 YEAR ANNIVERSARY with the company; it is a remarkable accomplishment and a blessing. The company is proud of its history and looks forward to many more years of growth locally and around the world.